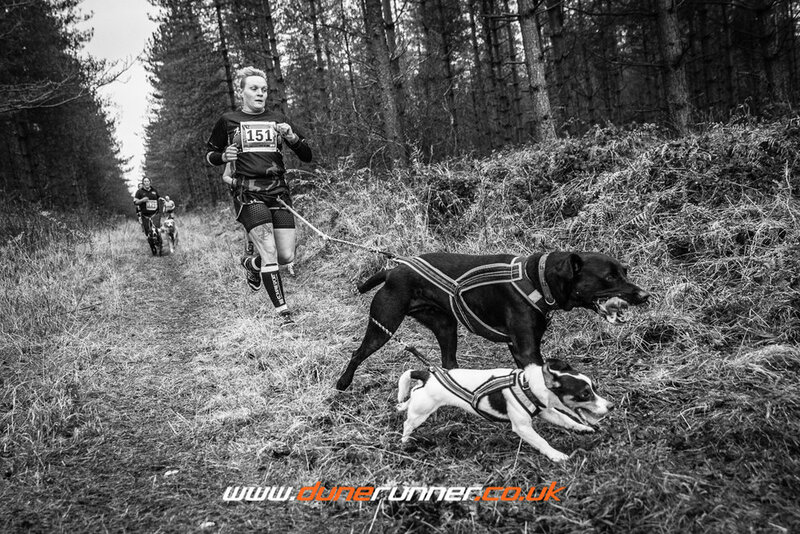 Fido's Forest Frenzy is a Canicross only event comprising of a Long or Short course in the beautiful area of the Kings Forest which forms part of the extensive Thetford Forest area (Huge thanks to The Forestry Commission). The event will be hosted in the depths of The Kings Forest on the Norfolk/Suffolk border (see map for location) and will be 100% off road and traffic free! 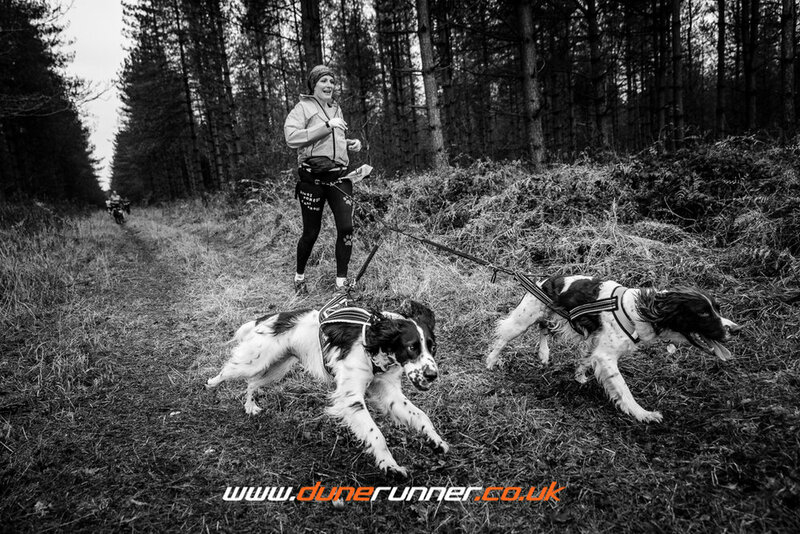 You can run with either 1 or 2 Dawgs, however all Dawgs and runners must be equipped with suitable Cani-Cross equipment, i.e. Runners Belt and Bungee Line, and for the Dawgs a well fitting harness (no anitpull or H style harnesses). Absolutely no collar and lead combinations will be allowed - it's just safer for all that way! A water station for both humans and dawgs will be provided at the half-way point. The event route will weave through some of the most beautiful and scenic parts of Kings Forest (yes, real Kings actually live there...! ), on a mixture of wide and fast fire roads, wooded footpaths and single track trails - nothing too boggy (sorry but your bathroom won't appreciate the dog mess afterwards! ), but all paths on the whole will be wide, fast and very Canicross friendly. 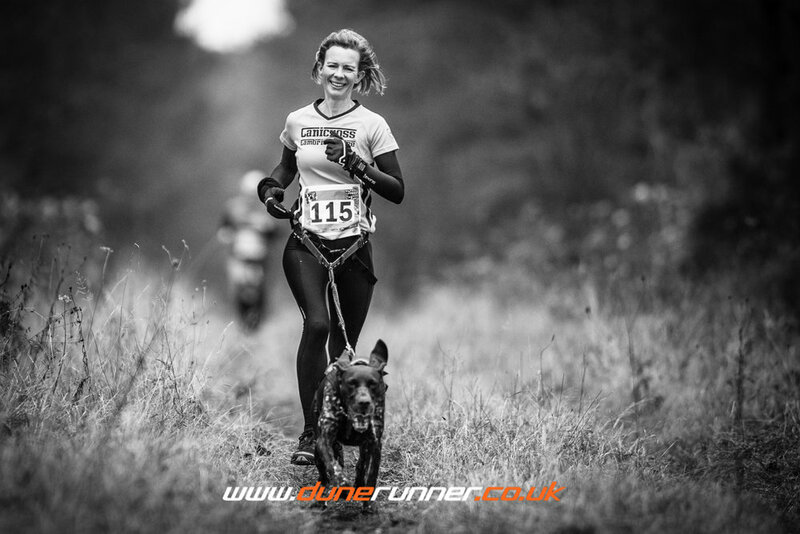 What we can offer you is an amazing atmosphere, free and plentiful parking, goody-bag, medals for all finishers, prizes for you and the pooch & not forgetting a super location for you to have a really awesome belt around the forest with your best mate(s). Space for this event will be capped at 200 entries - so get in soon...! Tea, Coffee and food available to purchase on the day. There will be plenty of parking on site including some hardstanding. Equipment/harness check will be conducted in advance of the Start. Compulsory race briefing at 10:15 – all competitors must attend this. Our headline sponsor Lovejoys Petfood will be in attendance, along with Specialist Canicross equipment suppliers K9 Trail Time.